PEOPLE who use mobility scooters in Australia don't require a licence, insurance or health checks to get behind the wheel. Whether it's in the lunch room or online it's a topic that generates heated debate. In September last year a parliamentary committee recommended federal road and transport agencies started researching the implementation of a regulatory system in which mobility scooter users were subject to licensing, registration and insurance. The committee looked into the safety and regulation of mobility scooters following the deaths of 129 scooter users and three pedestrians from 2000-2017, and the hospitalisation of 350 older mobility scooter drivers a year based on data from 2006-2009. Federal Minister for Infrastructure, Transport and Regional Development Michael McCormack was approached for an update on progress in relation to the development of a new regulatory system. "Anyone with views about the use of motorised mobility devices and regulations can contribute to a process that's currently being managed by the National Transport Commission," a spokesperson said. "In January this year, the NTC released an issues paper, Barriers to the safe use of innovative vehicles and motorised mobility devices, and is seeking feedback until February 28...."
The full issues paper can be found here but making a submission is far from straight forward - you will need to register first, creating a profile and password. "Your feedback regarding our current website is appreciated and acknowledged. We're in the process of making some changes that we hope will make the experience of engaging with the NTC easier," a spokesperson said when contacted for comment in relation to the convoluted process. 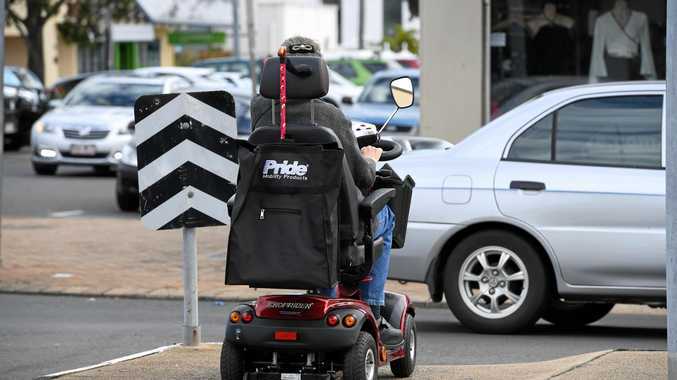 According to the peak organisation for Australasian road transport and traffic agencies, Austroads, there is likely to be a significant increase in the number of scooters out and about due to our ageing population and the roll out of the NDIS. A recent post on the Woolgoolga and the Northern Beaches - What's happening Facebook page touched on the growing problem. Paul Dwyer saw a mobility scooter with a pillion passenger driving on the wrong side of Pullen St (toward oncoming traffic) with no lights. "Road kill going to happen," he posted. Robyn Byrnes responded highlighting the lack of regulation. "It's time these mobility scooters were regulated to only be sold to and used by people with a genuine disability and registered and have insurance cover. 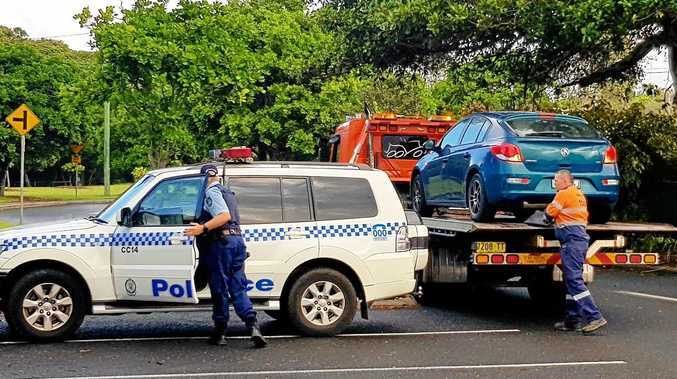 Many towns are now having them available for hire and they are being driven at high speed down paths by able-bodied people too lazy to walk to a bus stop," she wrote. Authorities estimate there are at least 155, 000 motorised mobility devices in use across Australia. According to Monash University's Department of Forensic Medicine the widespread use of motorised mobility devices became evident twenty years ago and the first reports of serious safety concerns started to arise in 2006. Some authorities have warned against discrimination when developing tougher regulations and pointed to a need for improved public transport options. "The issue of mobility scooter usage should be considered part of an urgent broader government approach to improving transport options... and providing accessible environments for all Australians, particularly those in rural and regional locations, and as our population ages," Occupational Therapy Australia states.